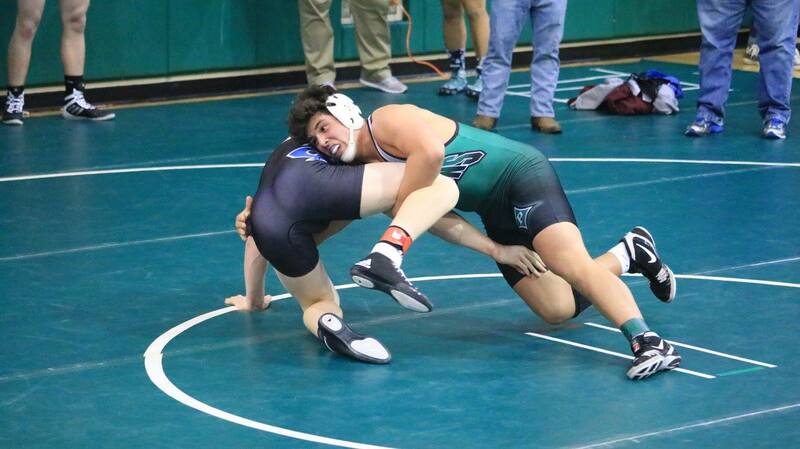 ELLIJAY, Ga – The Gilmer County Board of Commissioners are moving forward with plans to seek state recognition of the school system’s major success in the wrestling world with a proclamation of Gilmer as the State Wrestling Capital. Parents and Coaches filled the Commissioner’s conference room on Wednesday, September 12, to ask the board for a sign at the county line claiming Gilmer as the wrestling capital of the state in honor of the 17 state titles the county has brought home in the sport. Coach Mark Waddell spoke first for citizens in the work session saying that what Gilmer has accomplished is “pretty unprecedented.” Noting the 17 team state titles, he said that these were only the team’s titles, not individuals. As each student practices and becomes part of the team, several parents noted in the work session that their kids have become entirely different people. From the discipline to the camaraderie and the inclusion of faith into the program, many of those present threw support behind the idea, lauding the coaches who have done so much and pushed these athletes to accomplish even more. One parent even said, “They carry themselves differently.” The changes the students go through during the program was constantly repeated emphasizing its importance to them. Coaches, Parents, and Students all attended the BOC Meeting in September to show how meaningful that state recognition is to the community. Waddell asked for the support of the Commissioners in placing a sign to highlight the 17 combined titles. He noted that part of the success is that it is a singular program. It doesn’t individualize the middle school, the youth, and the high school. With the whole program on track to a singular vision, the success follows with the students accomplishing everything they can. Coach Sam Snider also spoke about the program’s state recognition sharing stories about the numerous times that Speaker David Ralston brought Gilmer Wrestling to the capital to highlight their championships. 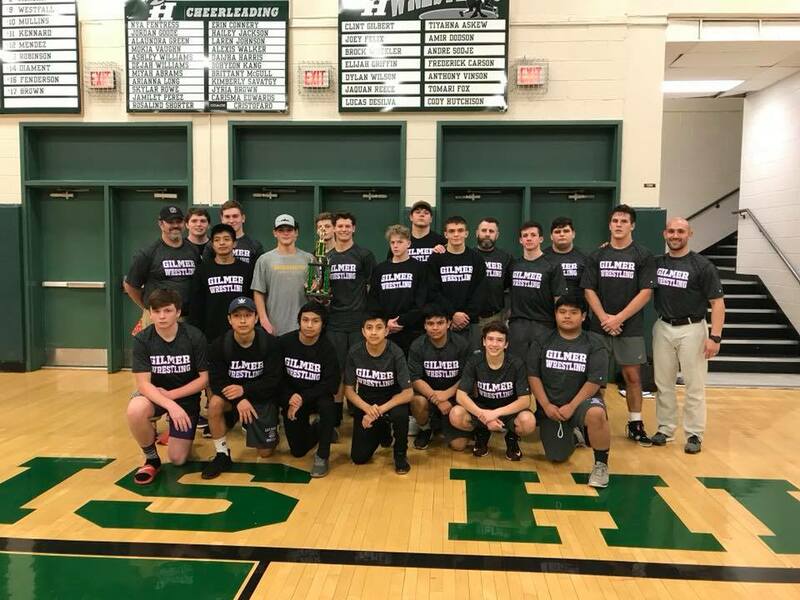 Students from Gilmer are spreading across the country, Snider pointed to those who wrestle on scholarships in college and others who use what the program teaches to further their careers in other areas. 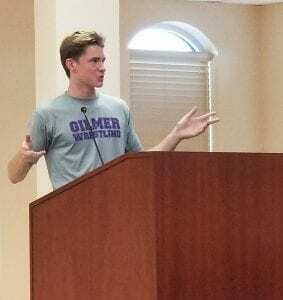 Gilmer Wrestler, Thomas Chastain speaks to the Commissioners about the wrestling program and what it means to him. Addressing the request for a sign calling Gilmer the capital, Post Commissioner Travis Crouch said the state would only give the county one state-level recognized “capital” sign. Though that didn’t stop the board from planning to seek state-level recognition without the sign. Additionally, Crouch brought up an older discussion that the county seek a county-owned sign at the line recognizing the Wrestling Capital among other things. Gilmer County Commission Chairman Charlie Paris noted that an electronic sign of substantially larger size than requested was something the county could feasibly look at next year as they move forward seeking the state’s recognition as well. Engaging in talks with Speaker Ralston, they hope to have the item in the legislative session early next year. In the last few moments of discussion during their regular meeting, one of the coaches offered his deepest thanks to the commissioners for listening and for what they do. And with that, an unanimous decision was made to move forward with both options. « Previous Article Collapse or Political Theatrics? When: March 17, 2018 at 6 p.m. If you wish to purchase a ticket, please contact Michelle Bentley at Chick-Fil-A, Monica Berry at Huff’s Drug Store or Melissa Galloway at Clear Creek Middle School. 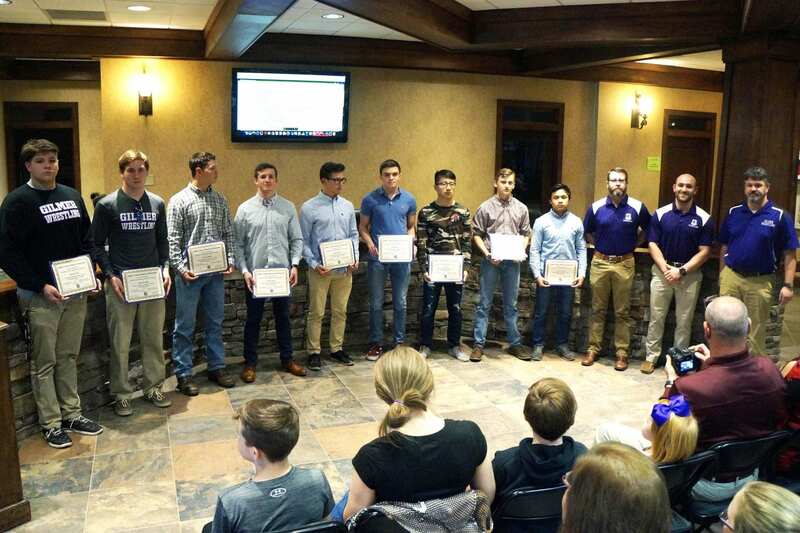 Bobcats Wrestling Recognized By B.O.E. The Gilmer Co. Board of Education recognized the Gilmer High School wrestling team for an outstanding season on Thursday. Bobcat wrestling was first on the agenda with Coach Josh Ghobadpoor thanking Dr. Wilkes and the entire board for doing all they do for the schools in Gilmer Co. Coach Ghobad, as he is commonly called by his team, brought to the forefront that the accomplishments for Gilmer wrestling this season once again followed the continued winning tradition the program is known for. The 2018 season saw the Bobcats win 1st place in Traditional Duels and Area Duels with a Runner Up in State Duals falling just short of a strong Jefferson Dragons team. 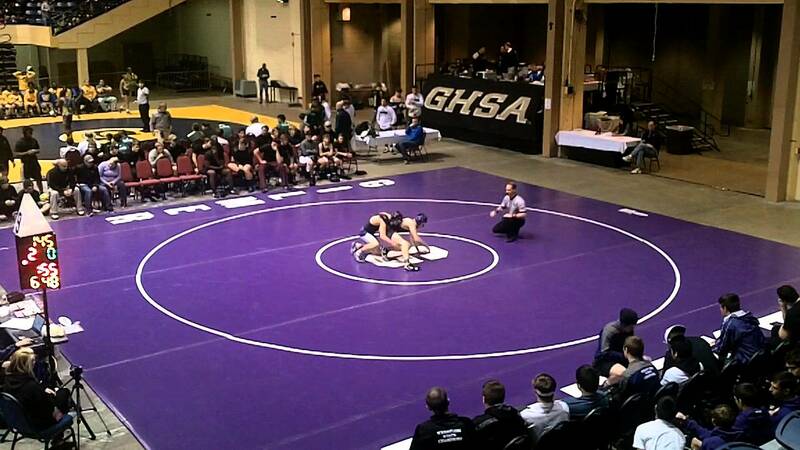 On the individual level, the Bobcats had 12 athletes qualify for the GHSA State Tournament with 6 of those placing and bringing home the hardware. 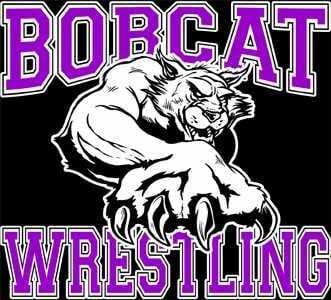 All Bobcats performed well in the state tournament with Tristan Kendall(126 lbs) placing 4th, Alex Repetun(138 lbs) placing 6th, Caleb Waddell(152 lbs) placing 2nd, Grant Ledford(160 lbs) placing 6th, Ryan Crump(182 lbs) placing 3rd and Anthony Zilke(285 lbs) placing 3rd. Congratulations to the 2017-2018 Bobcats on a great wrestling season! The Gilmer Wrestling mandatory hydration test has been rescheduled for this Tuesday, 10/24 at 5pm. GCHS wrestling coaches will be taking a bus and it will leave the high school at approximately 3pm Tuesday afternoon. Wrestlers who are still in football will have to go to the Hydration Test this coming Saturday 10/28 and will meet at the high school at 8:45am. GCHS Coaches are asking that the wrestlers please drink plenty of water and eat healthy in preparation for the test. Athletes will need to wear a t-shirt and shorts, and the cost for the test is $10. The upcoming Hydration Test has been cancelled by the UNG Testing Administrator. He told coaches that he forgot “Gold Rush” would be this Saturday. Though the coaches offered several solutions, the testing administrator chose to postpone the mandatory hydration test until a later date. 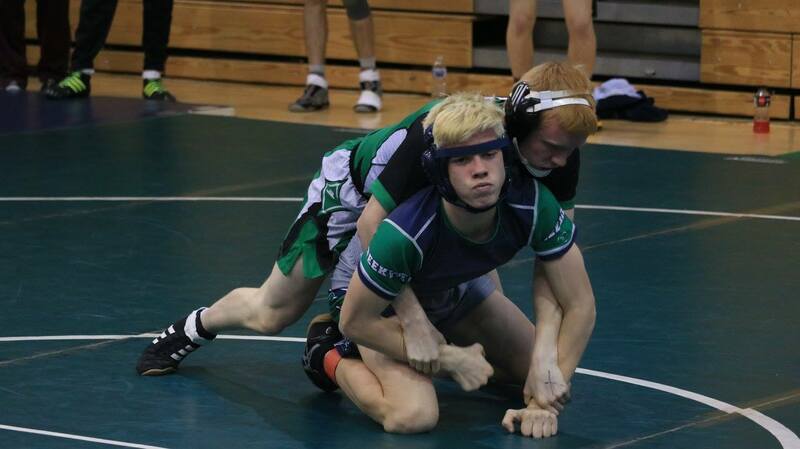 TeamFYNSports looks forward to following and reporting coverage of the Gilmer Bobcats’ wrestling season. If you are a parent, alumni, or simply a fan; we are looking for volunteers to help us cover matches and upcoming events! 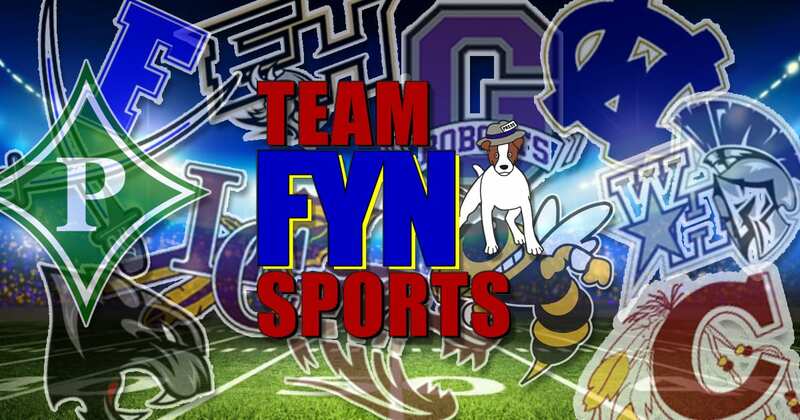 If interested, please contact Jason Banks at Jason@FetchYourNews.com !